The most powerful woman in the world faces annihilation as the price of her success. Egypt in 1476 BCE is on the brink of disaster. The female Pharaoh Hatshepsut has crushed a bloody rebellion, but she invoked the treacherous god Seth to annihilate her enemies. Now he is devouring her soul. But she needs Seth's power even more to defeat the warlords of Canaan and Syria, who have vowed to destroy the woman who dares rule over men. And what better revenge than to burn alive Hatshepsut's own daughter as a sacrifice to their savage gods? Hatshepsut must find a way to smash Egypt's brutal enemies without becoming a monster herself. The men who adore Hatshepsut struggle to outdo one another for her love, but their jealousy and hatred escalate to murderous intensity. Heartbreaking tragedies challenge the female Pharaoh's fidelity, faith and even her sanity. Egypt reaches unprecedented power and wealth as she conquers everything but her own heart. Based on the true story of ancient Egypt's female Pharaoh Hatshepsut, The Eye of Re recreates the passionate saga of history's first female ruler. Award-winning author Patricia L. O'Neill's ground-breaking research and vivid prose bring to life the unjustly maligned woman behind the legends. In the gripping conclusion to The Hatshepsut Trilogy, the secret behind the ultimate mystery of Hatshepsut's reign is revealed. This is a fascinating portrayal of the female pharaoh Hatshepsut circa 1476 BC. The novel revels in the familiar struggle of rulers between politics and religion, trying to find the balance between the skills and rivalries of trusted supporters against a background of jealous gods and rebellious lords. 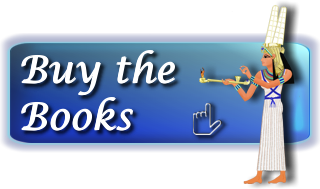 The historical basis for the book is sound, and there are many associated links for those keen on Egyptology. Although this is the final part of a trilogy it can easily be read alone. The book is a skilled portrayal of the difficulties of leadership amidst bitter wars, obelisks, tombs, horses and hidden love made all the more enjoyable by being written from Hatshepsut's perspective. O'Neill does a fine job of imagining the rule of one of the most powerful women in the ancient world, plausibly filling in a lot of the blanks in the historical record. Rich in detail, authentic to the mindset of the age, the characters also seem relevant for a modern audience. 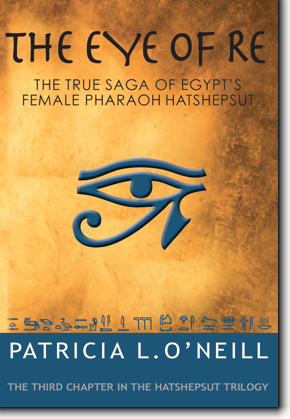 In this the third, and alas, final book of the series, Hatshepsut is well established as a ruler, surrounded by loyal advisors, but there is a dark cloud in the form of Nefer-Weben, who plots to destroy Hatshepsut in order to claim the throne. There is also the ever-present threat that other kingdoms will think her weak because she is a woman and try to take on Egypt. But underestimating her is a big mistake.